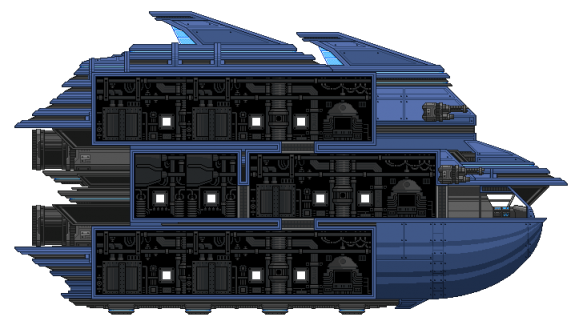 The Hylotl starter ship resembles a large fish, complete with fins and a tail! The pet unique to Hylotl ships is a crasberry (crab). For the full quest details see Ship Upgrade. The first version of the Hylotl starter ship was a large red Koi fish, complete with scales and fins. It was discontinued because it didn't scale up well. A piece of that ship can now be seen in the shipyard at the Outpost.